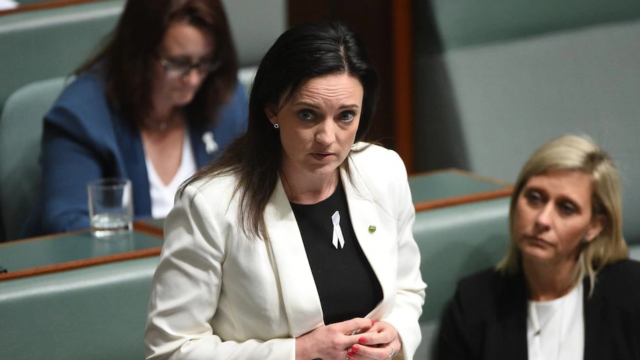 The full details of the allegations against Emma Husar should be noticed. Not for her actions, but rather how much of the investigation was leaked. Lauren Southern is a figure of questionable views that feeds off our attention. For a person we’re supposed to be ignoring, we’ve afforded her a lot of airtime. This morning, Brexit’s head negotiator resigned, leaving Theresa May alone in a storm of her making, clouding the future of her nation. The Swedes have embraced the concept of improving their bodies through technology. Sadly, we’re still stuck in the stone age. Paired with the Eurydice Dixon memorial being vandalised was the familiar good guy denial. Again we’ve missed the point. We need to educate our own. I’m a father, so I’m an expert. Let me tell you, the rise of nonsense child names is certainly real, and it will certainly kill us all. All Hail Prime Minister Jayden. Yesterday, Barnaby lost the plot, evoking privacy right while forgetting that he spent last week reducing the privacy of others. He’s truly reached a Fonzie level of desperation. Yesterday, gamers were blamed for the failings of the NBN. We’re an easy target. Maybe we should form our own lobby. Vote 1, The Lan Party? After Roseanne Barr made a racist ‘joke’ on Twitter, Twitter mobilised against her. With her show now taken off the air, justice seems to be served. That poses a bit of a problem. Well, Barnaby Joyce did it again. But who do we blame? The man himself, or those who allow him to continually escape punishment? Yesterday, Scott Morrison appeared on the ABC to shout at Bill Shorten. If they’re up to mud-slinging to sell the budget, they’re in trouble. Yesterday, Michaelia Cash told the ABC that she could live on the $40 a day the unemployed do, because she did the same thing backpacking. Her nonsense highlights an obvious fact: they don’t get it. As the Big Four are being dragged through the Royal Commission, I’ve noticed something. This is certainly not the end of their world, and we feel fine. With Anzac Day upon us, I believe we should resist over politicising it. The day already has a clear point, one that doesn’t require our subjective obfuscation. As a Catholic, we’re the problem. But also the solution. 2018 is a particularly bad year to be a Catholic. However, while we’ve brought it upon ourselves, we also have the capacity for change. It seems that Geoffrey Rush has won a great victory in his defamation case. Well, no. Those who have already formed an opinion number the jury of a greater trial he faces.